When Does Your Home Need a Stair Lift? So, you’re on the fence when it comes to installing a residential stair lift. 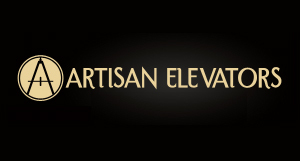 You’re not sure if you should install an elevator, stair lift, or even a wheelchair lift! Although all are great options for assisting someone who can no longer climb the stairs, here are a few ways that you can tell if your home does, in fact, need a stair lift and not an elevator or wheelchair lift. 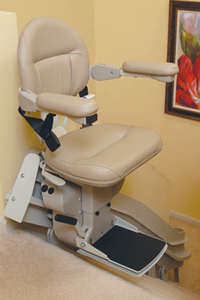 Why Does it Matter – Some may wonder, “Why does it matter if I install a stair lift opposed to an elevator?” Well, there are many upon many reasons it “matters.” First of all, you have to consider cost; obviously a residential elevator is going to cost more than both a wheelchair lift and a stair lift, with a wheelchair lift coming in close second. If you’re looking for the more economical option, stair lifts are a great solution. Another reason it matters is not every option is best for every family. Some families may prefer an in-home elevator, while others may think that installing one would be a bit excessive. Knowing if a Stair Lift is Right – So how do you decide if a stair lift is the right choice? First of all, why are looking into a stair aid in the first place? Is it for you? If so, do you feel like you would be more comfortable using a stair lift over the other options? Stair lifts are great for those who don’t necessarily need a wheelchair but who need assistance climbing the stairs. If you feel comfortable sitting on the moving chair as it glides up your staircase, then the stair lift could be the perfect option. Are you shopping for someone other than yourself? Remember to ask them about their preference. If they don’t feel comfortable sitting in the unguarded chair, perhaps a wheelchair lift would suit them better. Another element to consider is family members. Sometimes having a wheelchair lift installed in a home can take up precious floor space, if this is the case, a stair lift would be the better option. Stair lifts attach to the side of the stairs and can easily fold up or be tucked out of the way, so that non-lift users can still easily use the staircase. The bottom line is this: If a residential elevator is too expensive and if a wheelchair lift takes up to much space, installing a stair lift could be your best bet. Stair lifts are great for aiding persons who can no longer climb stairs without assistance; however, they are not the best options for persons who rely heavily on wheelchairs.